You’ll all know by now that I’m fond of visiting obscure places just for the sake of it, such as my epic trip to Teesside Airport on a once-a-week train service. 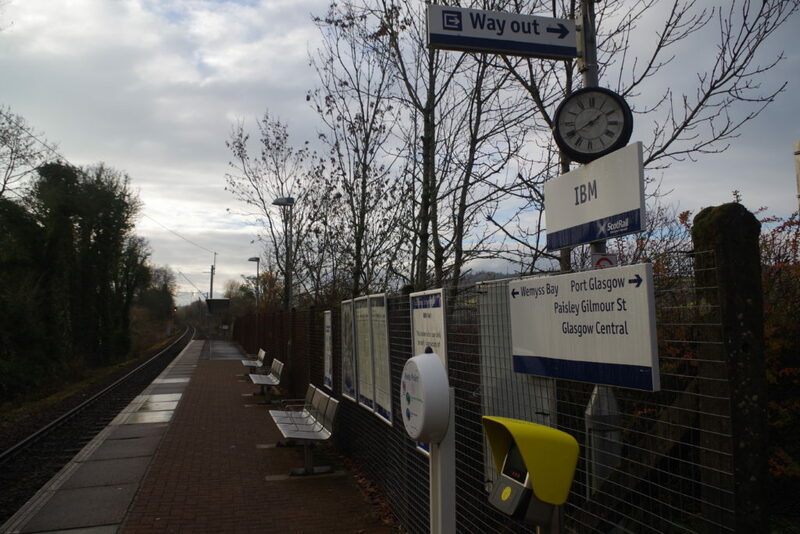 Another spectacularly useless railway station to show up on my radar recently is IBM, in the west of Scotland. 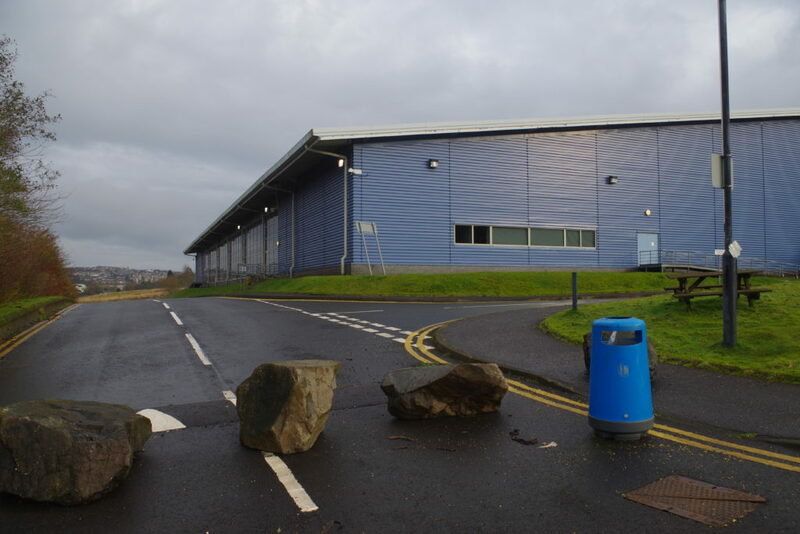 As you’ll probably guess, it’s named after the computer company, and it opened in 1978 to serve a large IBM factory and office complex in the west of Scotland. Many people worked there at one point, including my sister-in-law, but eventually everything declined – IBM hived off its computer manufacturing to Lenovo, who soon left the site, and eventually the IBM offices closed completely. 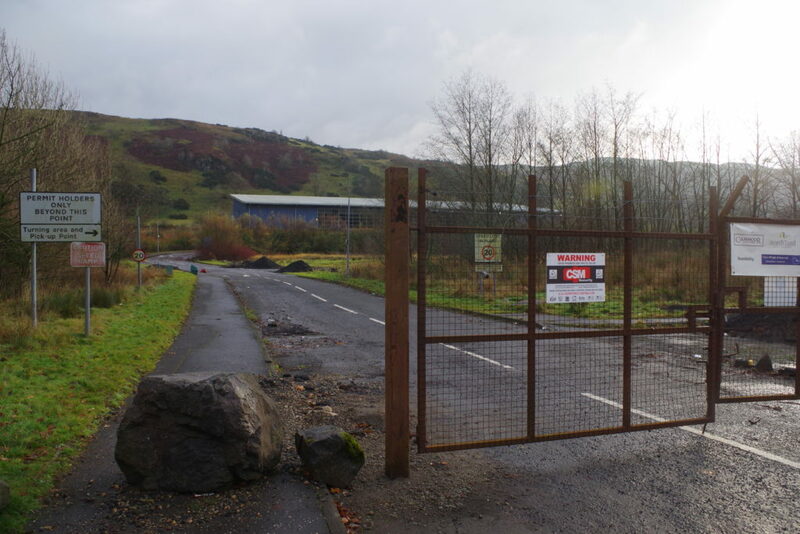 A few other companies moved into the site, but eventually they all moved out too, and as a result, use of the station declined very sharply indeed. 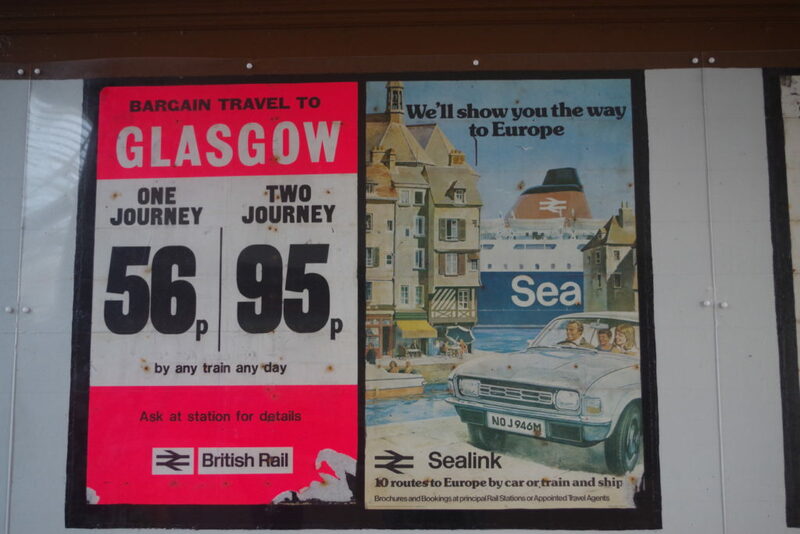 Oddly enough, it retained a regular train service, with Glasgow to Wemyss Bay trains calling every hour. 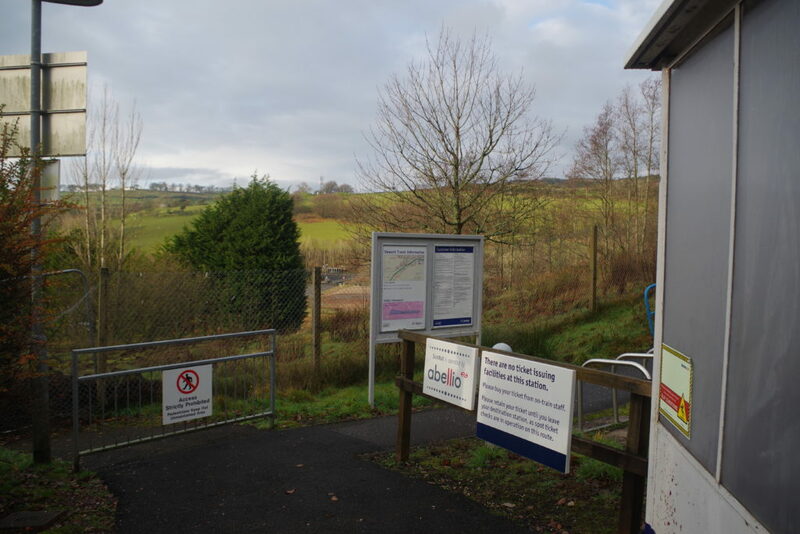 However, it was recently announced that no trains would call at the station from the start of the new timetable on December 9th. Station closures are rare and extremely controversial things. 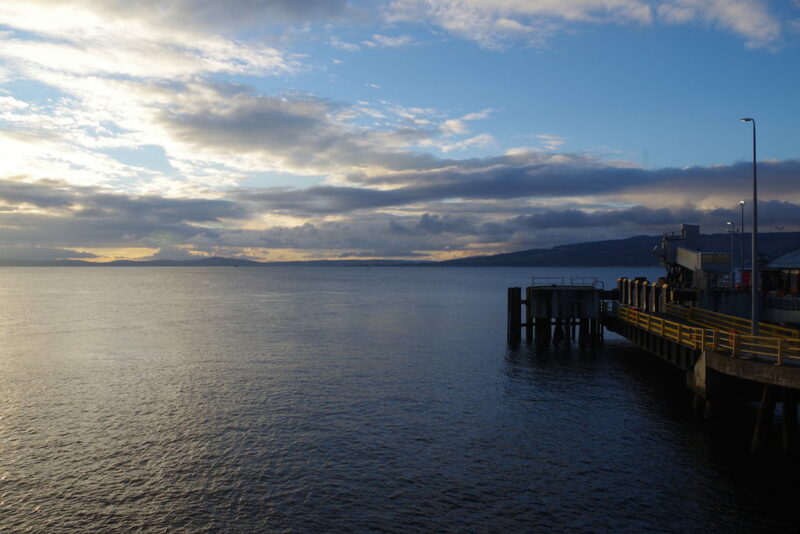 The last station to close in Scotland was Balloch Pier in 1986. 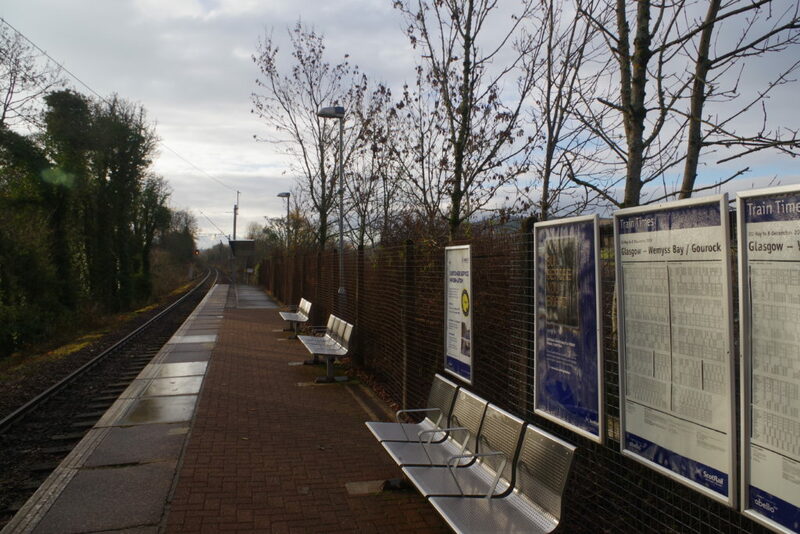 Since then, 55 new stations have opened, but any time anyone even thinks of closing a station – however useless it is – there’s an outcry. It seems that the proper closure process is not being applied here, and that’s raised a few eyebrows, but there’s a loophole involved in that technically the station serves a private site, that you’re not supposed to be on if you have no business there. 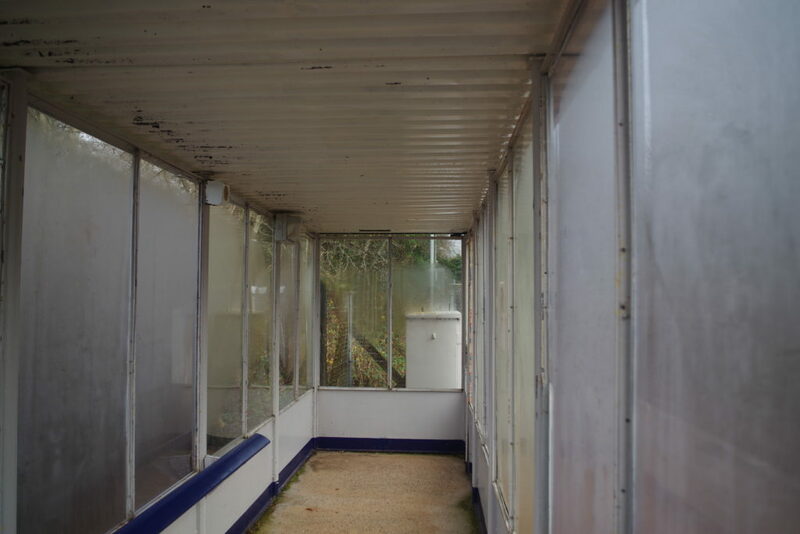 As the IBM complex has disappeared, there’s now no legitimate reason for anyone to use the station, and the local police have been keen to see it close as it’s drawn in people who have caused trouble on the site. Anyway…that’s the background. I had to make sure, of course, that I visited the station before the end of its fairly brief life. 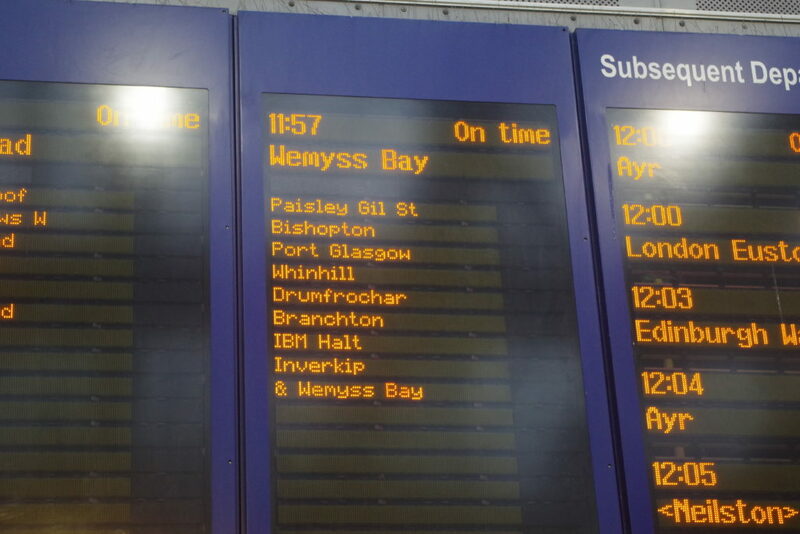 That’s the train I took, shown on the board at Glasgow Central – note use of the name “IBM Halt”. The station is still referred to as such in some places. On arrival, it took a moment or two for the doors to open, which made me worry they’d decided no-one wanted to get out, but I was soon on the platform, greeted by this rather out-of-date poster. 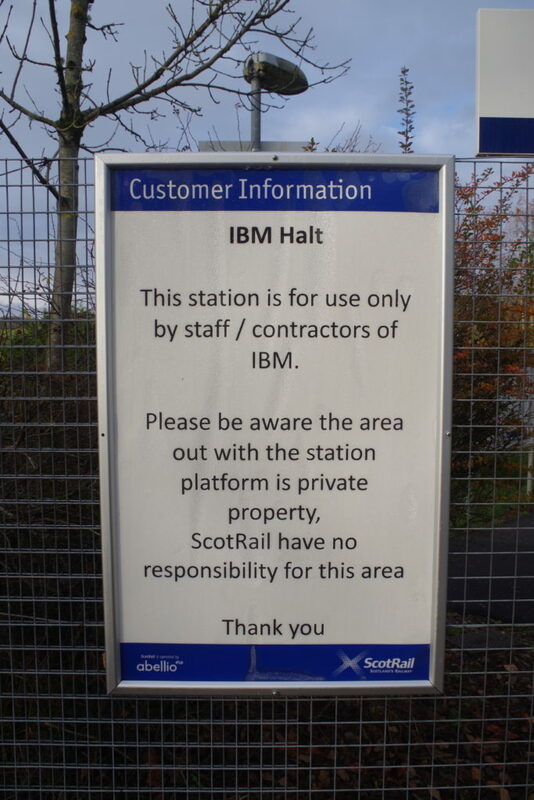 This poster was put up after Abellio took over ScotRail in 2015, but IBM had already vacated the site by then! 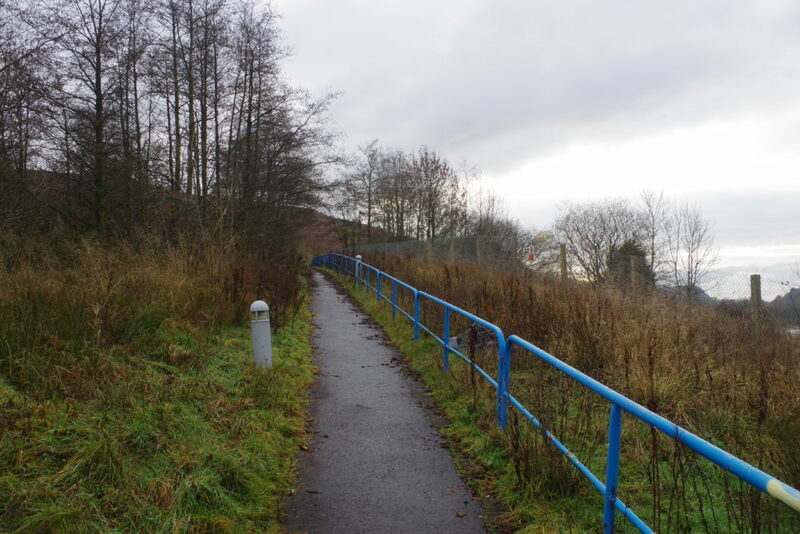 There’s a couple of other stations like this, where the whole area outside is not actually accessible to the public, including British Steel Redcar – I was escorted off the site by security guards when I went there, but here there wasn’t anyone to be seen at all, and leaving the station presented no problems. 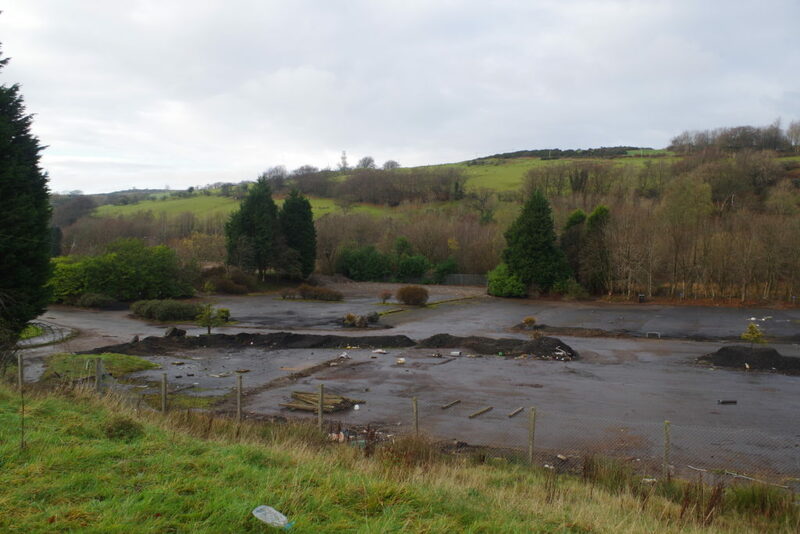 It’s quite clear a lot has vanished from the area, though – by the entrance, a route off the station had been fenced off, and a huge flat area showed where a large building had been demolished. Here’s a few more shots of the station, before I went to explore what remained of the IBM complex. The answer is…not very much. 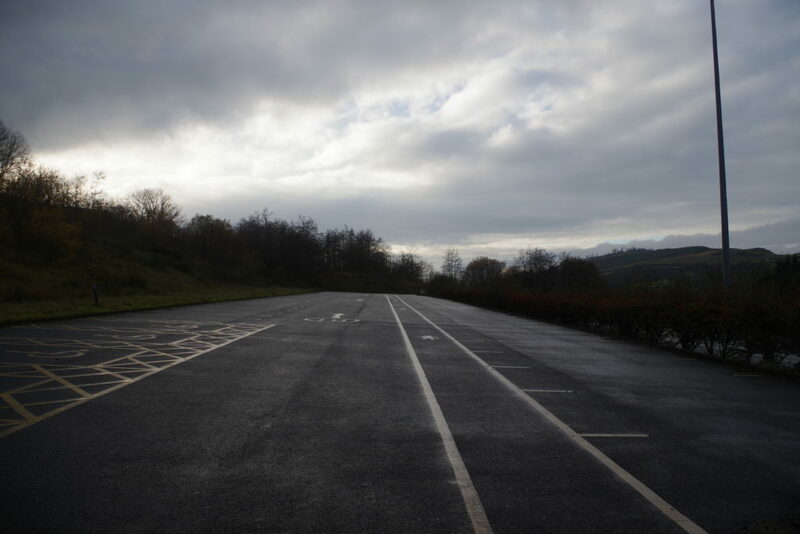 The site was completely deserted. 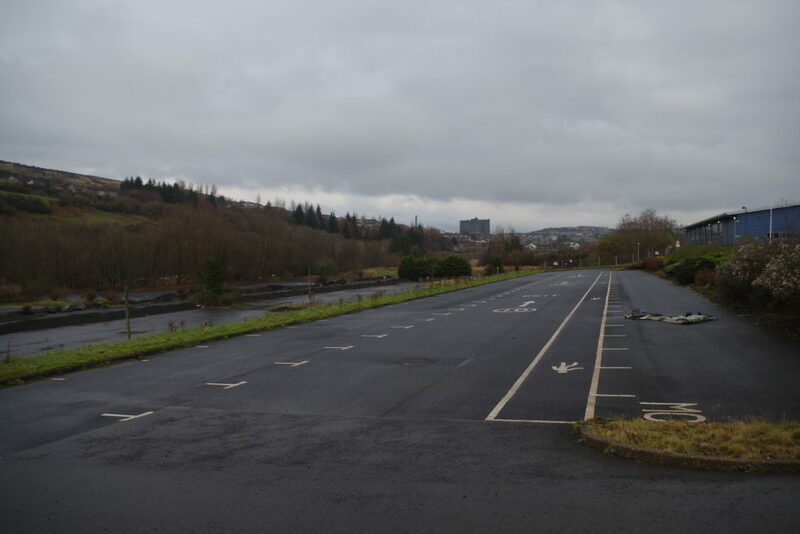 No cars, no people, no dog-walkers, no security – nothing at all. No-one else used the station while I was there. It’s completely obvious that this is a very suitable candidate for closure! The station is located in the steep-sided Spango Valley, and the difficult access to the site makes it even harder to find a new use for it all. I soon came across large empty spaces with only one building surviving – that too was obviously empty and disused. 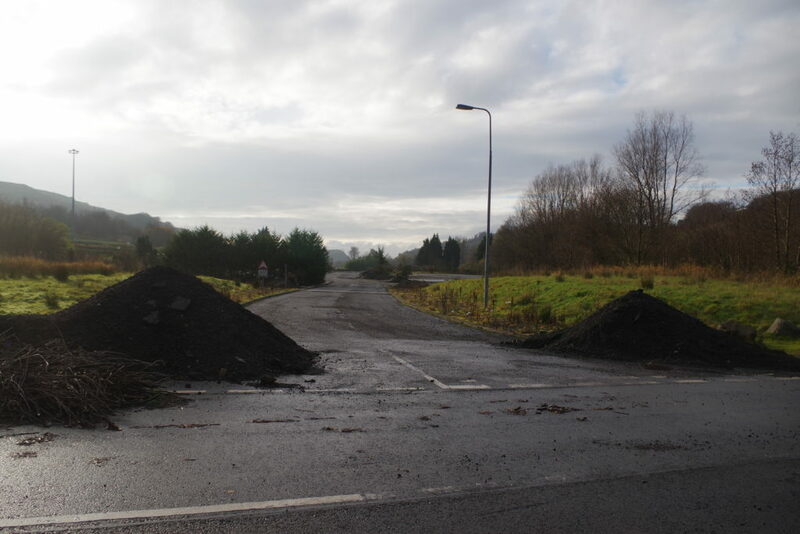 That final picture shows the way onto the site from the main road that passes it – really not much on the road either, it just goes through places, and there’s nothing nearby that could make the station of any use – just some houses on the side of the valley next to the road, with no obvious way of getting across. 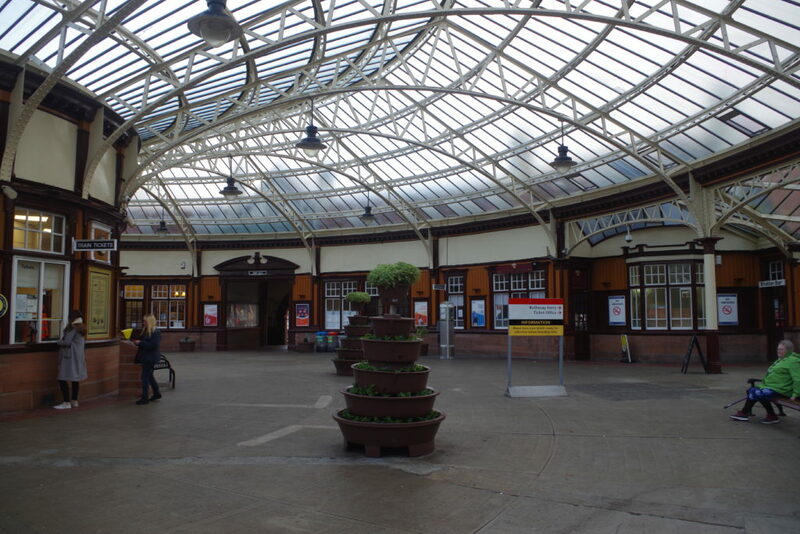 After this, I wandered back over to the station before catching the next train on to Wemyss Bay – as I said, it’s all a lot easier than your average useless station. The service is so good, this station is almost not useless! As I stood and waited for my train, I was regaled by the usual array of automated PA notices, including one telling me that trains would no longer call from 9th December. 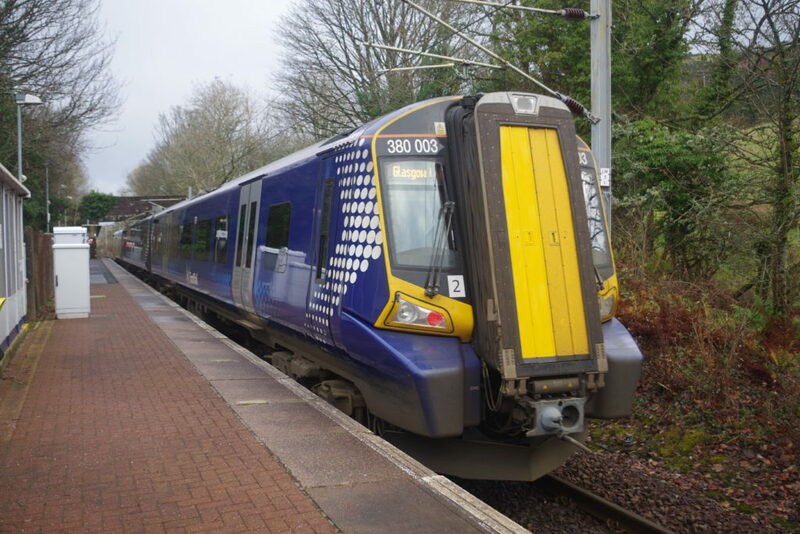 ScotRail isn’t providing any alternative services, and I can’t see anyone genuinely kicking up a fuss about that. 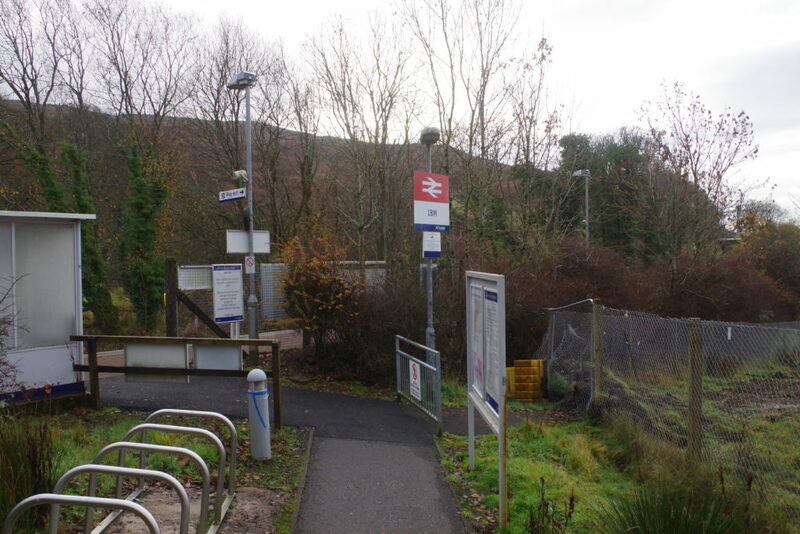 The station is sufficiently far from the road that it really is genuinely useless to anyone, and a frequent bus service runs up and down on the main road. 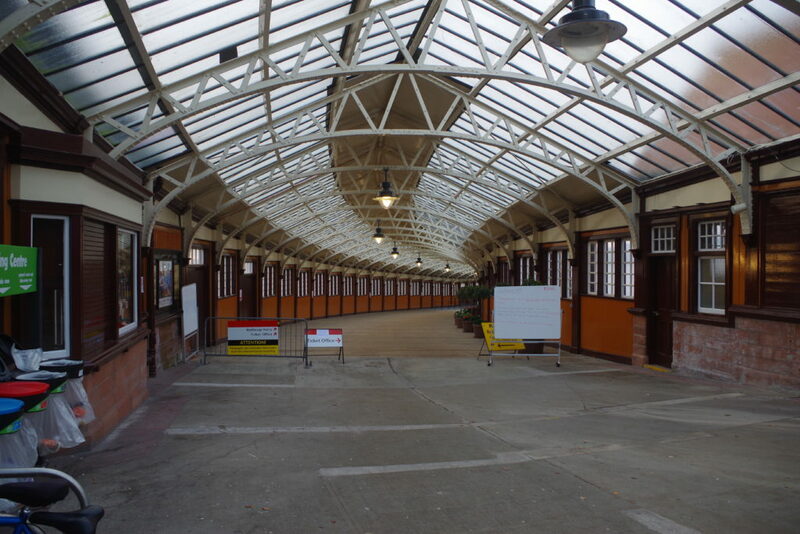 Wemyss Bay station is famous for being an architectural gem, which has been thoroughly restored in recent years, so here’s a couple of shots of the impressive circular concourse, and passageway to the ferries to Rothesay. Check out the old BR posters on display too! Take your Austin Allegro to Europe with Sealink! As well as this, there’s a fantastic secondhand bookshop on the station, which was very pleasant to nose around in, and I picked up a couple of bargains. 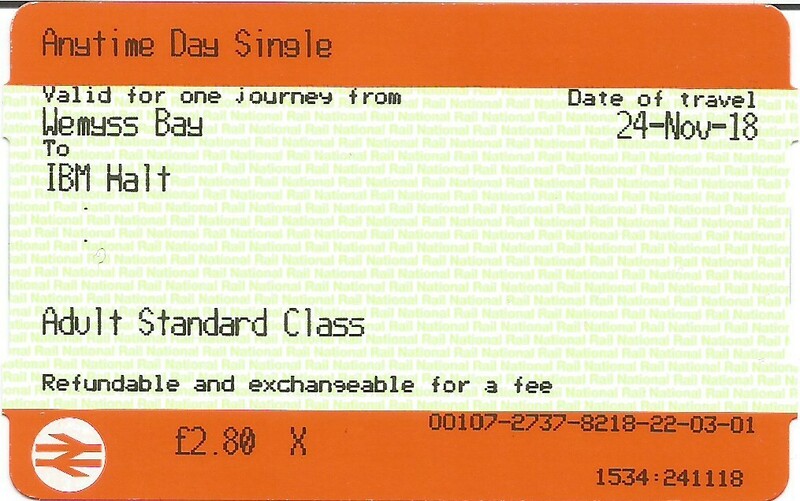 As I did all my travelling on a Glasgow to Wemyss Bay return ticket, I picked up a souvenir ticket to ensure that my trip would be recorded on the official station usage statistics. 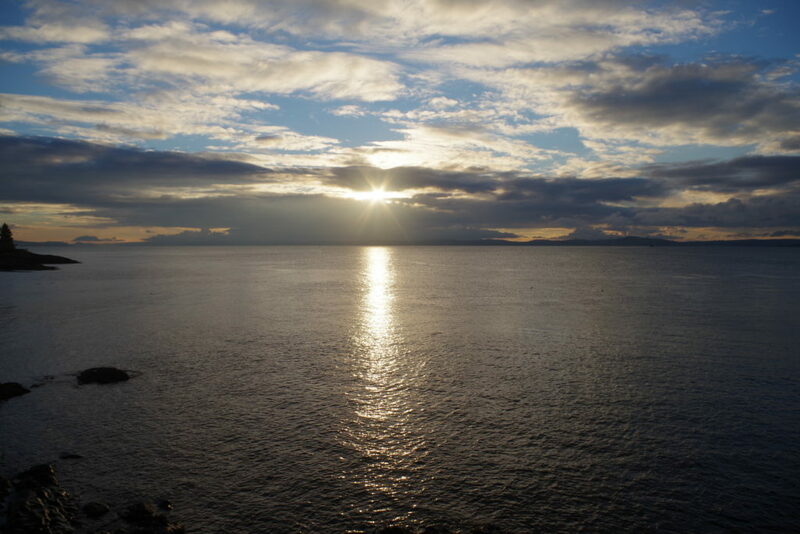 I then headed outside to have some excellent fish and chips at the Seaview café, before enjoying the views across the bay to Rothesay and Arran.